Take the family on an exciting trip to our hotel off Interstate 45 near beaches, cruise terminal and Pleasure Pier with rides and shopping. Splash through the water at Schlitterban indoor water park, visit the Bishops Place castle or Moody Gardens for an IMAX theatre, penguins and golf course. 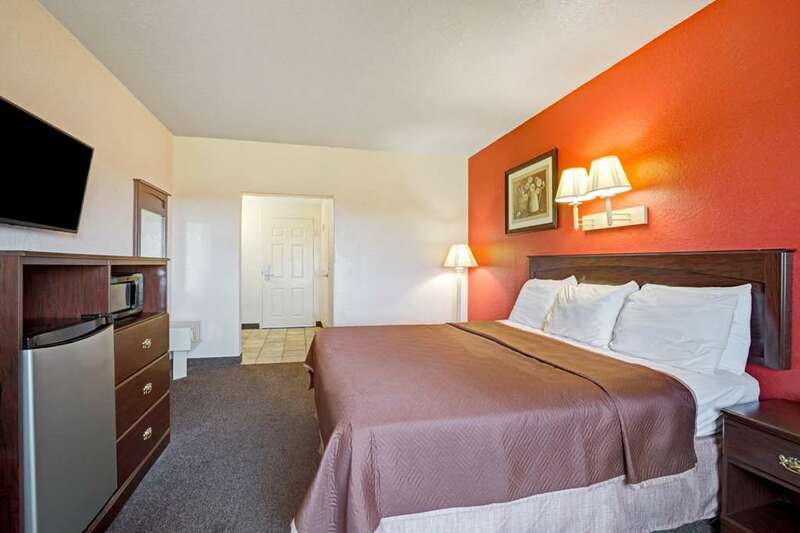 Wake up to free Rise and Dine continental breakfast, and enjoy the free car and large-vehicle parking to make visiting popular attractions simple. Plan your exciting day from the comfort of your guest room with free Wi-Fi and refrigerator. Smoke-free and handicapped-accessible rooms are available.